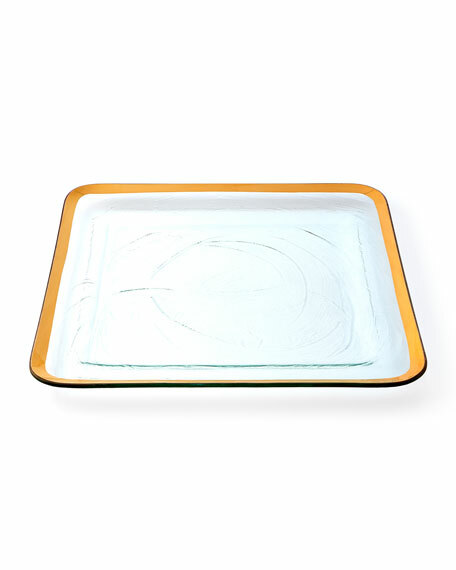 Handcrafted tray designed by Ann Morhauser of Santa Cruz, California. Clear glass with hand-painted 24-karat gold trim. For in-store inquiries, use sku #684059.